Orange County will be closing the two emergency shelters opened ahead of Hurricane Florence at noon on Sunday. The shelters were “emptying out rapidly” on Saturday morning, Orange County community relations director Todd McGee said in an email. After reaching a peak of 160 individuals at the two shelters, McGee said that only about 30 remained as of 11 a.m. Saturday. It appears Orange County avoided major portions of the massive storm. Areas to the south and east of the county saw much more severe damage. Orange County did see power outages across the county reaching more than 4,000 Duke Energy customers at its height as trees fell during portions of the storm, including a massive “town treasure” in Hillsborough. Chapel Hill town manager Maurice Jones said in an email to town staff and elected officials that he anticipated the town would be closing its Emergency Operations Center around noon on Saturday. McGee said the county would likely fully shut down its EOC when the shelters closed at noon Sunday. 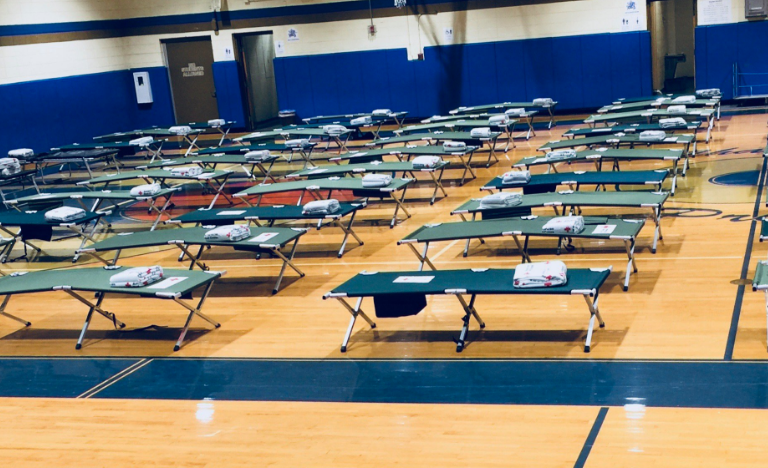 Coastal evacuees will be housed at a mega shelter that is being opened by UNC – Chapel Hill at the Friday Center, which is expected to be operational beginning sometime Saturday.